Haoyang Yu , the founder and general manager of Shenzhen GeneBioHealth Co., Ltd (GBH), received his PhD in molecular biology at the Hannover Medical School, Germany and was the recipient of Overseas High-level talent certified by " Shenzhen Peacock program" in 2011. Before GBH , Dr. Yu worked as a project manager at the Research & Quality safety headquarters of Bayer Healthcare AG. 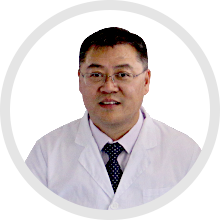 As a member of the German Association of Gastrointestinal and material metabolic diseases, Dr. Yu mainly engaged in the basic research of gastrointestinal digestive system diseases. 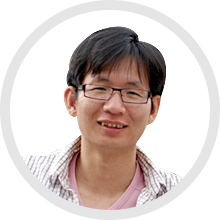 Jun Fu, the Chief Technology Officer of Shenzhen GeneBioHealth Co., Ltd (GBH), completed his PhD and postdoctoral research at Technology University of Dresden in 2012. Dr. Fu worked at GeneBridges GmbH as a biotechnology engineer. 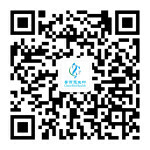 Dr. Fu participated in the application of 4 international Patents and published 18 SCI papers. Jun YU is a professor in Department of Medicine and Therapeutics, Faculty of Medicine at The Chinese University of Hong Kong (CUHK). She completed her MD and PhD at Tongji Medical University and then she embarked on gastrointestinal specialist in Beijing University in 1994-1998, followed by a postdoctoral fellowship in the Department of Gastroenterology at the University of Dresden, Germany, University of Magdeburg, Germany and CUHK, Hong Kong, respectively in 1998-2002. She worked as a Senior Research Officer at University of Sydney in 2003-2005. 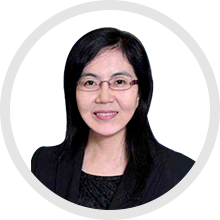 She has been a CUHK faculty member since 2005 and currently as a Professor at Department of Medicine and Therapeutics, director of the Research Laboratory of Institute of Digestive Disease, and associate director of State Key Laboratory of Digestive Disease, CUHK. She has published over 260 peer-reviewed papers (45 papers with impact factor > 10) and 7 book or book chapters particularly in the areas of gastrointestinal cancers. She has obtained 11 research-related prizes/awards. Huangbing Huang, consultant on bio-information technology at Shenzhen GeneBioHealth Co., Ltd (GBH), received his PhD. 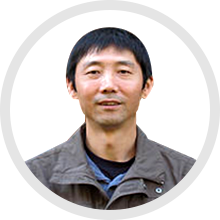 in computer and bioinformatics at Technology University of Dresden and his postdoc at Heidelberg EML Research GmbH and Heidelberg University; Since 20o9 to date, Dr, Huang works at Zhejiang California International Institute of Nanotechnology System Biology platform as a director of bioinformatics. He is mainly responsible for an international cooperation project of the Ministry of Science and Technology (using high-performance computer clusters in proteome, System biology and drug discovery). So far he has published 10 SCI articles.